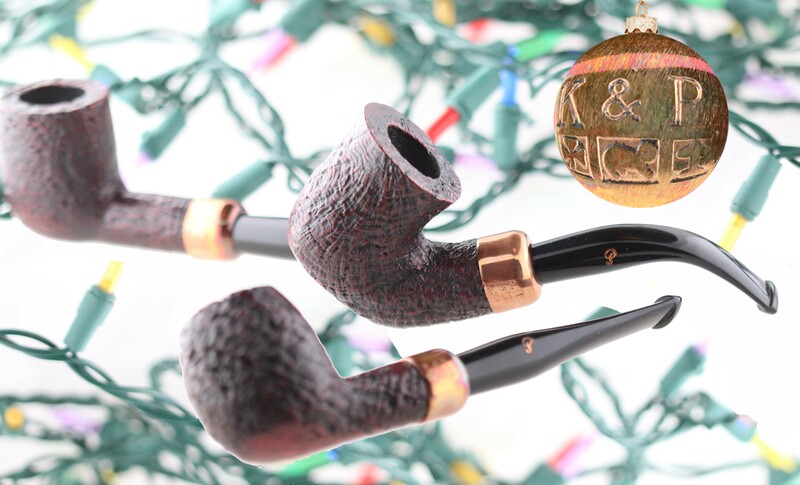 The Christmas commemorative series began in 2009, marking this season’s as the 10th pipe, and it’s brilliantly understated, for all those who want a lovely entry-grade army mount that can pass under the seasonal radar while still evoking a Stille Nacht kind of feeling with its dark ruby stain and copper ferrule. I talk quite a bit about their history in the Peterson book, so I can’t say anything much about them here aside from the obvious—the shamrock, wolf hound and round tower are all important Irish symbols. It won’t take you many keystrokes on “the Google” (as my friend Clyde Logan calls it) to find out more. 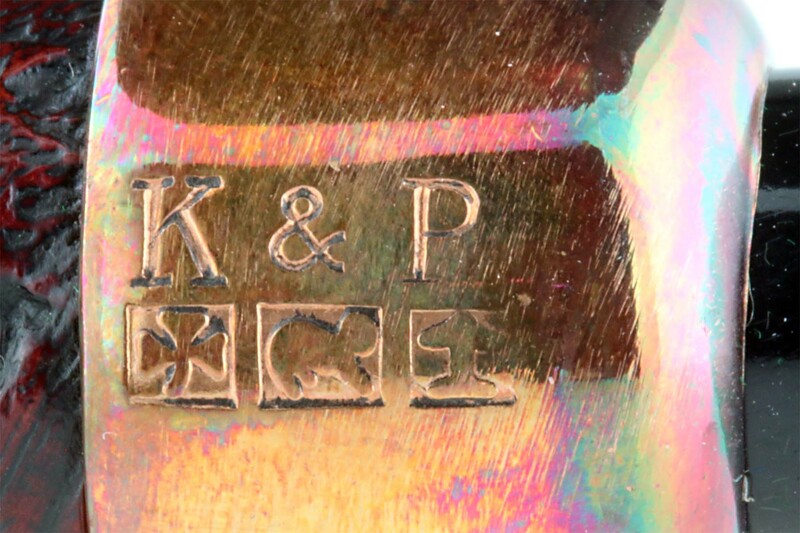 “The stamping on the Christmas is fantastic alright,” writes Conor, “and it’s good to be back using the traditional stamps.” Does this mean we’ll be seeing a return of the nickel marks to all Petes with nickel bands and ferrules? We can hope, right? Also, be cognizant of the fact that at least two of the shapes (the 05 and the 87) have semi-flattened smooth bottoms. 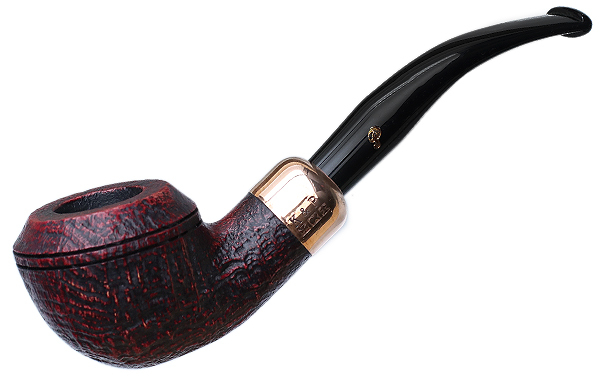 This is a practice Peterson has used in the past and it yields a slightly different profile. Thanks, Mark, or the information and update! I recently purchased the 106 shape. 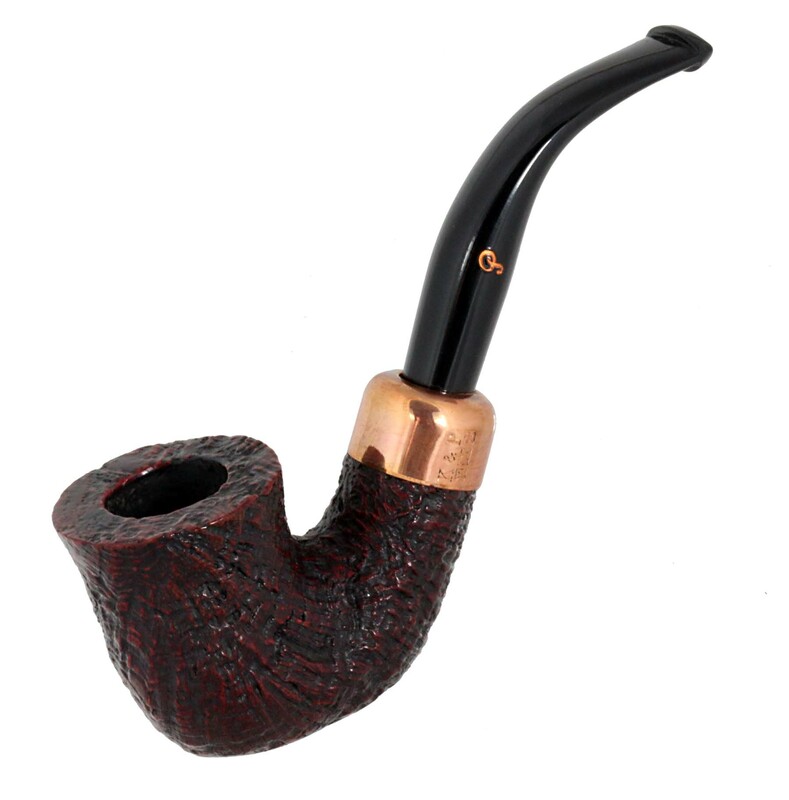 It’s very nice with the copper band and logo. The saddle bit is very comfortable between the teeth even though I’m not a “clencher”. The band really knocks me out. Great article. Just picked up an x105 and am enjoying it right now. That 02 is calling my name. I don’t know why I’m in this phase, but I wanted one of the Spigot Systems in the same shape. 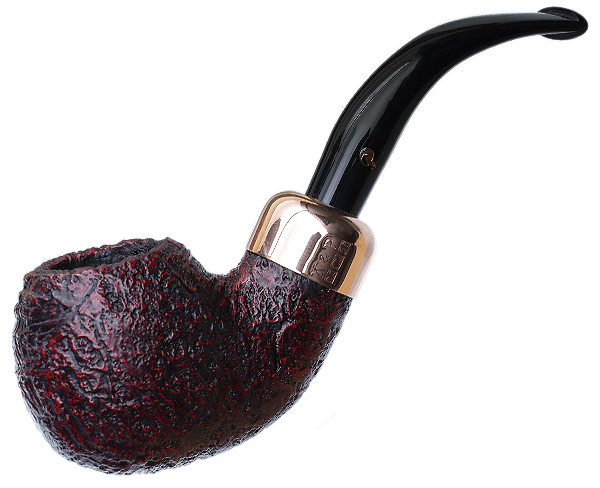 I think I like FAT pipes. Hi, Mark, and thanks for the update. 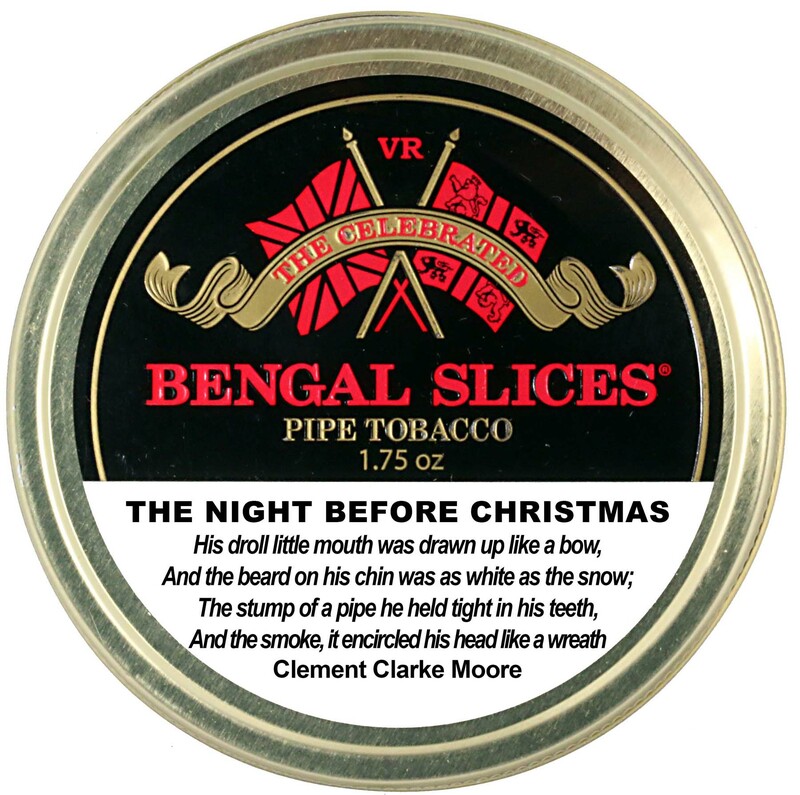 I see that they are following the recent of trend of offering no P-lip stems for Christmas. I wonder if they could offer the P-lip as a separate item? 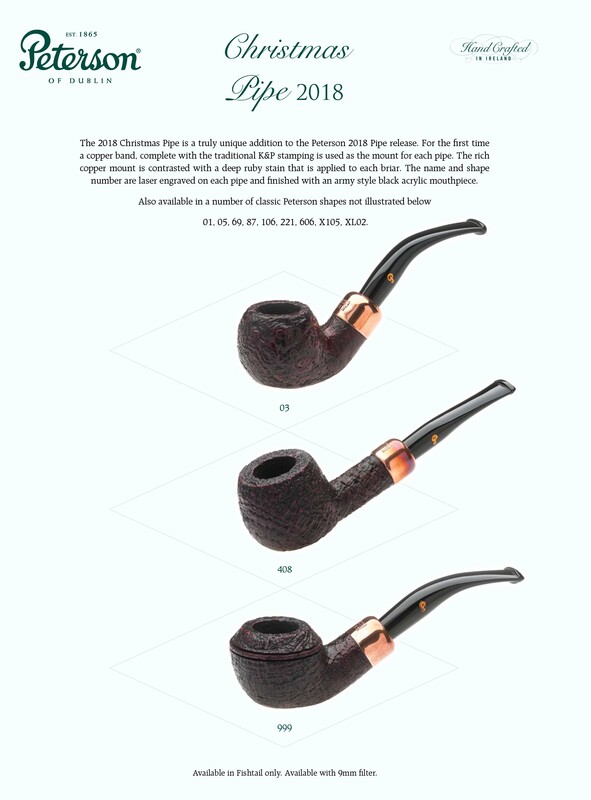 There would be too many variations for dealers to stock, but the new owner has room at smokingpipes.com. Stephen, I don’t think they’ve ever offered a P-Lip at Christmas, or on a POY. I think we should change that. 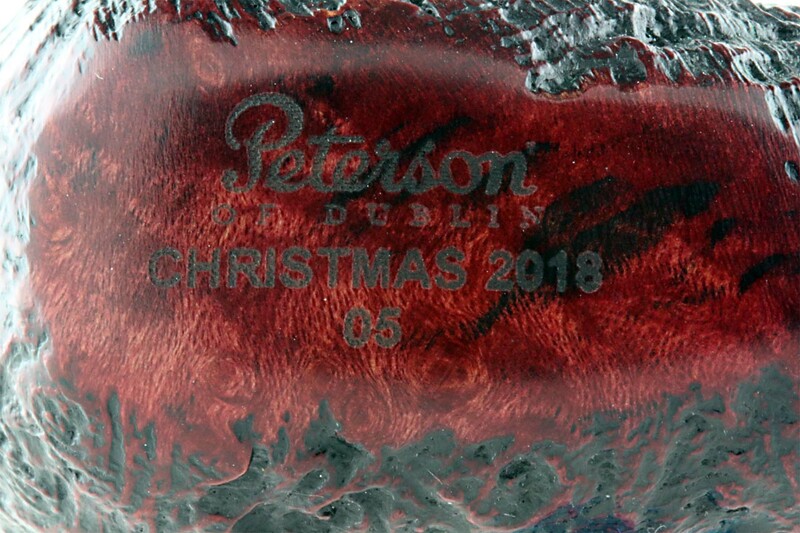 With the new ownership, perhaps all the Pete Geeks could get up a petition through the various pipe clubs and even here on the blog to let Peterson know we really DO like our P-Lips. I wonder if we could get 500 or 1000 signatures? 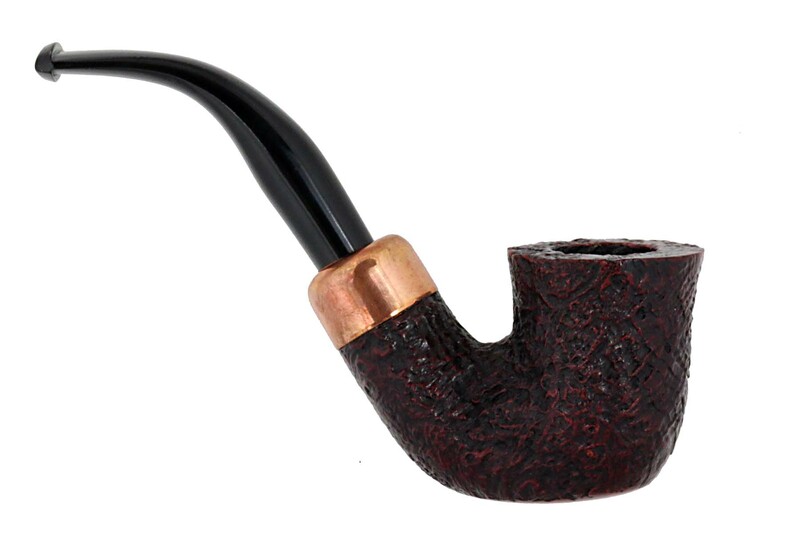 There surely is a love-hate relationship with the P-lip stem. 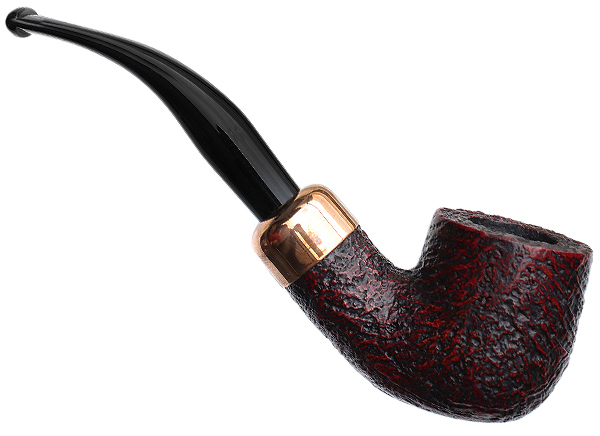 They are a classic with Peterson.